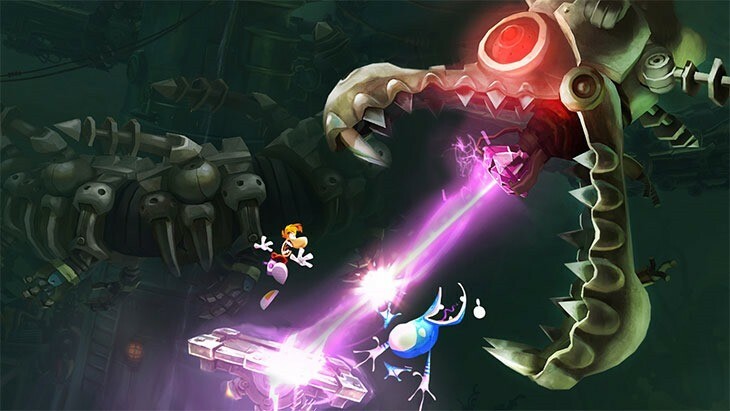 One of my most eagerly anticipated games of forever, Rayman Legends, is out on the US today and in the rest of the world of Friday. Sequel to the terribly endearing and delightfully difficult Rayman Origins, it’s got some rather big disembodied shoes to fill. According to critics, it’s done just that. Just about every critic has praised the game for its breath-taking visuals, irresistible charm and ridiculously clever gameplay. Here are the scores. the lowest is a respectable 8 from Videogamer, and the highest an unusual perfect score from Eurogamer; most seem to sit comfortably between the two at 9.Either way you slice it, that’s incredible. We’ve got our own review coming soon; delayed by us being at Gamescom. If you’re looking for an incredible platformer, that’s even better than the best best Mario’s had to offer in ages, Rayman Legends is it. It’s coming to PC, PlayStation 3, Vita, Wii U and Xbox 360 this Friday, August 30. Oh…if you have a Wii U and you want to pick up a physical copy of this game locally, you might want to pre-order. Just saying.